The MSC Maya is an 'Oscar' class ship, one of the biggest in the MSC fleet, with a capacity of 19,224 teus and a LOA of 395.4m. 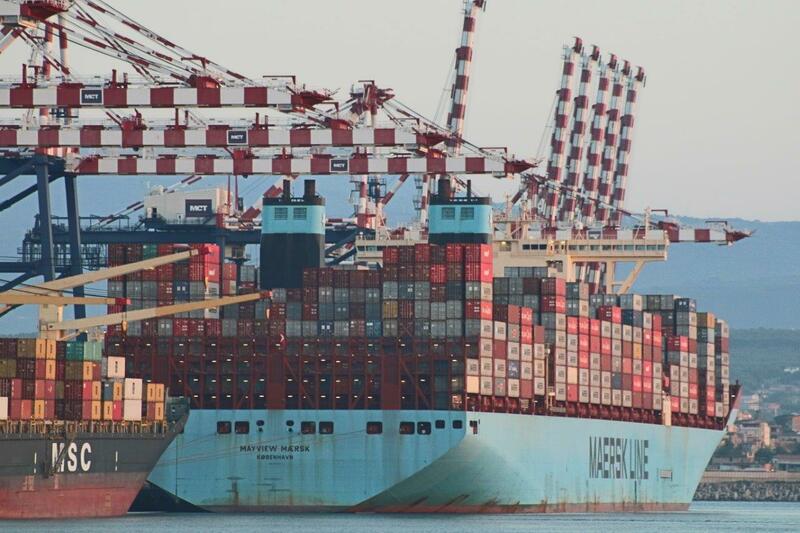 The Mayview Maersk is a famous Triple-E class and is the first time such a ship has called MCT, having a capacity of 18,270 teus and a LOA of 399m. Both ships are operating on 2M's Asia-North Europe route and were making spot-calls in Gioia Tauro. 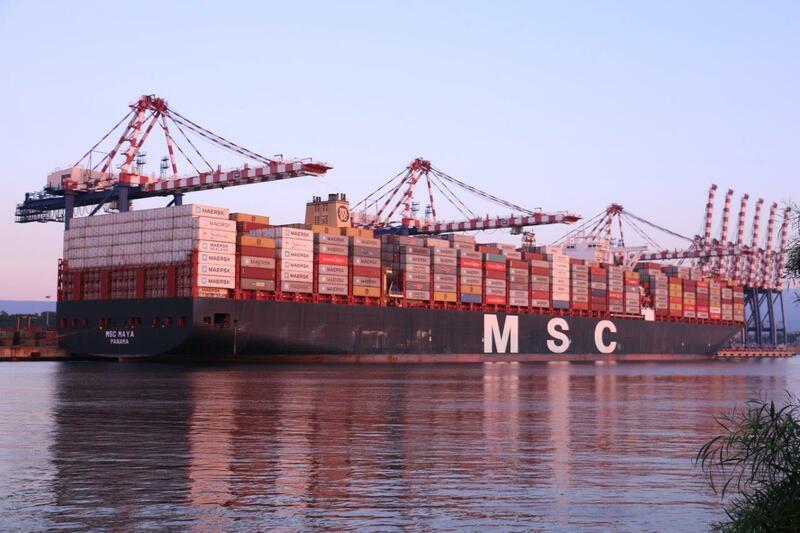 This is not the first time MCT has welcomed a large ship, as one of her sisters called in 2016, the MSC Ingy. 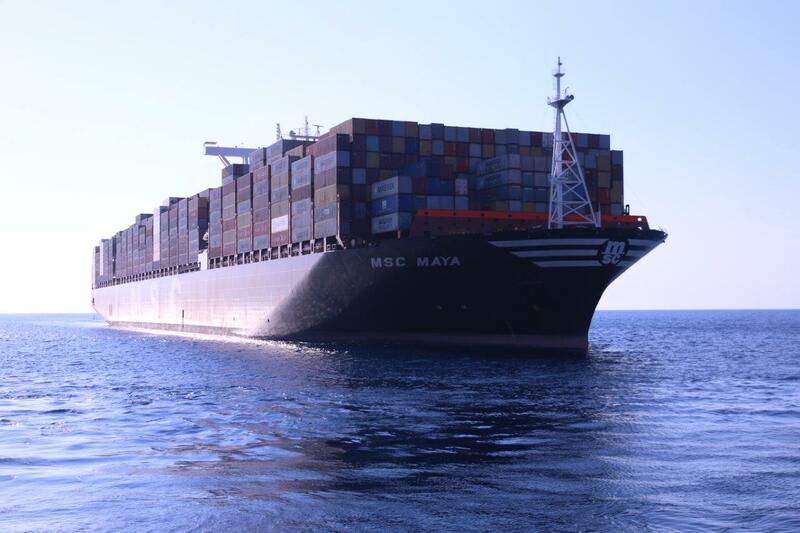 Antonino Spezzano, MCT Operations Manager, commented “..we are very proud to welcome huge ships such as the MSC Maya and the Mayview Maersk. 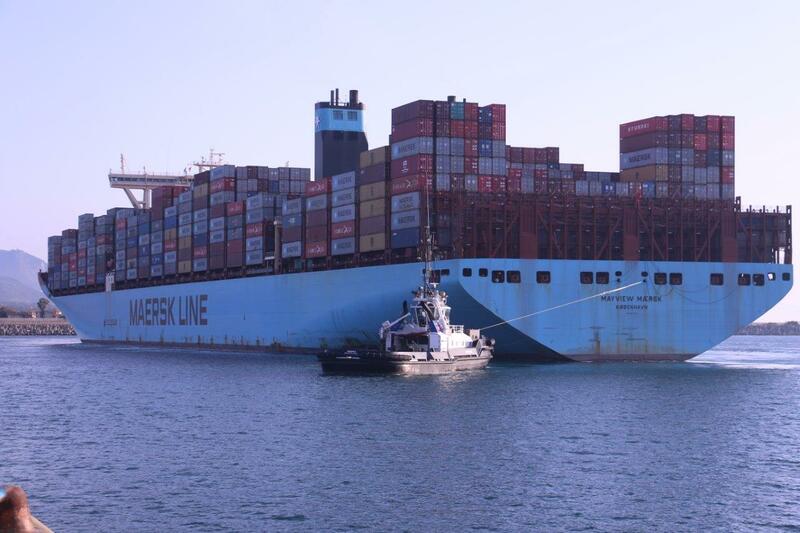 The successful outcome of both operations clearly confirms MCT’s capability in having the infrastructure in place to to accommodate vessels of this size. 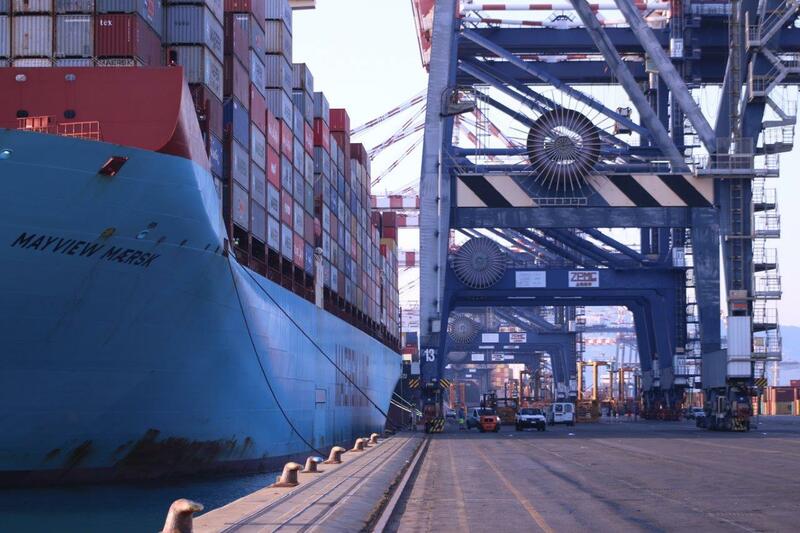 Gioia Tauro, equipped with super post-panamax STS cranes able to operate up to 23 container rows across, offers the longest linear quay length in the Mediterranean stretching almost 3.5km, with a 1.6 million sqm yard and a water depth up to 18m, so operating such ships was not a problem for us”.